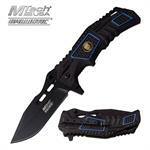 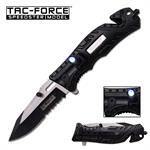 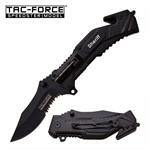 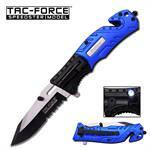 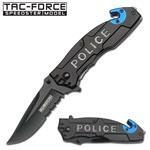 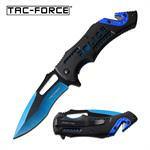 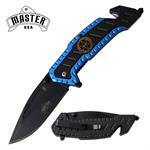 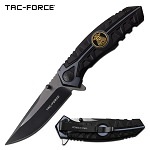 Tac Force tactical police spring assisted folding pocket knife. 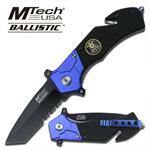 Aluminum Handle with Police emblem. 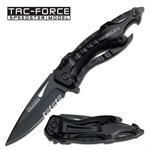 Modern, tactical knife design with rescue tools. 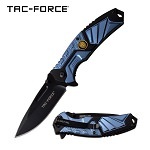 4 1/2 in. 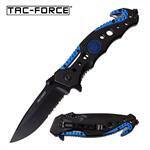 overall closed. 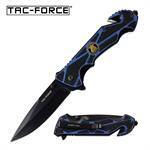 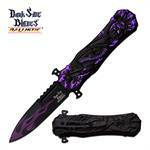 Stainless Steel Hawk Style Blade. 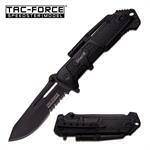 Heavy Duty Handle with Clip. 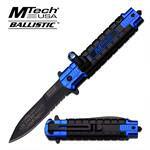 5 Inch Overall Closed in length. 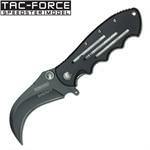 4 1/2" closed, 3 1/2" blade Rescue folder spring assist knife. 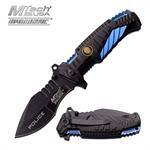 Police medallion mounted into the handle.